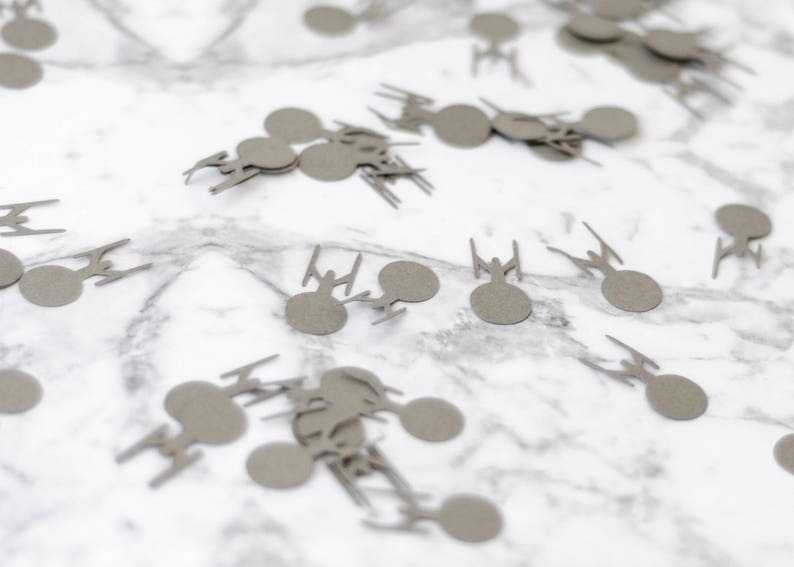 Get your Trek on with these Star Trek Enterprise Star Ship table confetti! Perfect for the Trekkie (or Trekker) in your life. Throw a party and decorate with these fun confetti. See my shop for more trek confetti. Please note I can only do 1 colour per quantity. if you order 1 set you will get all the confetti all of the same colour, if you order 2 sets, I can do 2 different colours 1 set of each etc. Cut on my small machine and made by me, not mass produced. Shown in Black and Platinum but available in any colour you wish. Perfect, exactly like pictured. Will make for a cute little geeky touch to our wedding. Thank you!